The sheen of your paint is essential to unifying the look and feel of your home’s interior. While you may think that one type of paint is suitable for your entire home, the truth is that there are quite a few different types of finishes that should be used in different areas of your house’s interior. You may not know where to begin when choosing a paint for your bedroom, bathroom, or even your kitchen. That’s why, in today’s multi-part series, we will be breaking down six different types of paint sheens to make your interior paint purchasing decision a breeze. 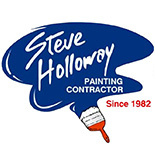 If you are in need of a qualified and professional painting contractor located in Bakersfield or the surrounding areas of California, contact the experts today at Steve Holloway Painting. 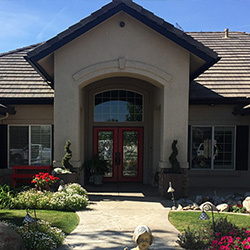 Having dedicated more than 35 years to residents of Bakersfield, we have successfully completed a number of commercial and residential painting projects with ease. 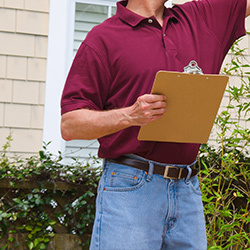 We provide exterior, interior, and even cabinet painting services at an affordable price, and offer competitively priced estimates for those who are interested. Learn about three of the six paint finishes for your home’s interior today by reading more below. With a name that is indicative of its appearance, eggshell offers a smooth finish with minimal reflectivity. While not the flattest of sheens, it provides enough luster to bring any moderately trafficked room to life. If you are looking for a smooth finish that is resistant to dirt, an interior paint possessing an eggshell finish is perfect for your needs. However, eggshell paint does not fare well in areas like kitchens, where durability and extreme resistance to grime is a must. A finish that offers more reflectivity than an eggshell sheen, satin displays a versatility not seen in other paint finishes. Given its durability and moderate sheen, satin can be used in areas of the home such as living rooms, bedrooms, family rooms, bathrooms, and more. It can even be used when painting your cabinets and trim! A top-of-the-line sheen that can be used anywhere in your home, satin paints will leave you impressed with the professional end result you will be able to achieve. One of the most popular finishes for highly trafficked areas that may become dirty over time, hi-gloss is a great finish for your kitchen, trim, and even your bathroom. You will love the extreme durability that it possesses when compared to its competing finishes, and will find that wiping dirt away from hi-gloss surfaces is incredibly easy. When it comes time to repaint your interior’s kitchen, cabinets, and more, consider keeping a supply of hi-gloss paint on-hand. 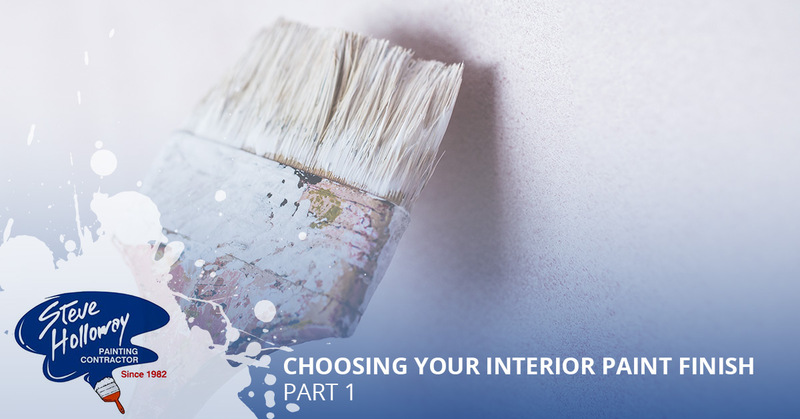 We hope part one of our multi-part series helped to clear up some confusion on the various sheens of paint available to you. 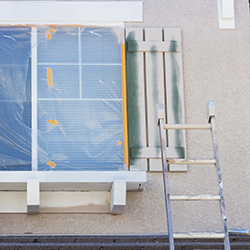 If you are in need of interior or exterior painting services for your home in California, don’t hesitate to reach out to Bakersfield’s trusted team of professional painters. Stay tuned for part two of our series, where we will discuss three more paint finishes that can be used when painting your home’s interior!